There is nothing quite like fresh fruit, so why not bypass the supermarket and head to an orchard to pick your own. Unfortunately there aren't too many fruit trees growing around the CBD, but about an hours drive from the city you'll be able to choose from apples, peaches, mandarins and so much more. We've got a few places worth checking out, but we want readers' opinions on the best places to pick your own fruit around Sydney. Bilpin Fruit Bowl is about an hour and a half from the city centre. They run the Adopt a Fruit Tree program. For $132 a year you can 'adopt' a peach or apple tree, you don't have to worry about tending or fertilising your tree, but when it comes into season you can head out to the orchard and pick all the fresh fruit you want. An adopted tree can be a great present, and it is also an opportunity to support Australian fruit growers. Why not get together a group in your community to adopt a tree, and then share the fruit when it is ready to pick. Bilpin Fruit Bowl also operate a shop where you can buy pre-picked fruit, as well as apple, peach, and berry pies, among other things. Pine Crest Orchard is also in Bilpin, and they grow apples, peaches, and plums. You can buy a range of fresh produce, but it won't be half as fun as picking some yourself. The peaches and plums come into season around December, and from around January apples are ready. The orchards also make a gorgeous place to just walk through and explore. If you're more a fan of citrus fits, then Ford's Farm at Wisemans Ferry is a great place to go. They specialise in mandarins, so you'll be able to fill your basket with satsuma, imperial, emperor, and hickson mandarins. There are other citrus varieties available, including Tahitian and Kaffir limes, lemons, and cumquats. Unlike most other fruits, citrus fruits are harvested in the cooler months, so Ford's Farm usually opens for business at the end of May or the beginning of June. There are plenty of other ways to have fun at the farm, like having a picnic with the family, or feeding some of the sheep. 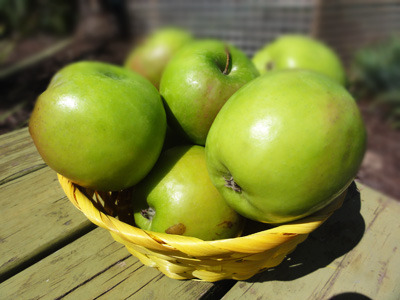 So let us know your favourite place for picking fresh fruit, whether it is in summer or winter. There are plenty of other farms out there that offer great deals if you go out and pick your own, we just need your help to find them all. Perhaps we've already named your favourite, or you know of a real gem that is just waiting to be shared. The Hawkesbury is the best place to pick fruit and vegetables. Only a short drive out of Sydney and you are in the Hawkesbury go onto the Hawkesbury Harvest website www.hawkesburyharvest.com.au/ to see what is available each time you want to visit. Also don't forget to visit the local restaurants who use local produce. Over the past 18 months I have been to a number of roadside fresh fruit places that sell their own produce, and in every case the stuff on sale was obviously the stuff that they couldn't sell commercially. It was old, stale and poor quality so my tip is to make sure you can pick yourself. Avoid the stuff they put out front for direct sale unless they'll let you taste test first. Used to be able to pick the most magnificent apples around Galston/Dural but doubt any of these still exist. Most of these places are closed at the moment, but will start opening up either at the end of the year, or the start of the new one. Ford's Farm is a little different, as they deal with citrus fruits, the season starts in May continues in the cooler months. Obviously seasons can differ each year, that is why it is important to check the websites before planning a trip. Try Penrith Valley Oranges at Castlereagh Rd, Castlereagh for fantastic oranges that you can pick off the tree. The season may be over, but a good one to remember for next season. There are several Mulberry trees on the Nepean River at the northern end of Tench Reserve for the picking. Cheltenham has a mulberry tree on the railway bridge where you can pick for free.